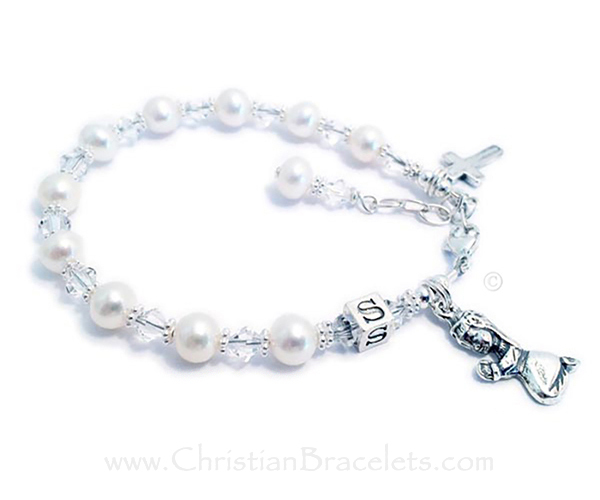 This Pearl Confirmation Charm Bracelet is shown with 2 charms (Praying Girl charm and Simple Cross charm) and an initial block and an extension clasp. Everything shown is included in the price. 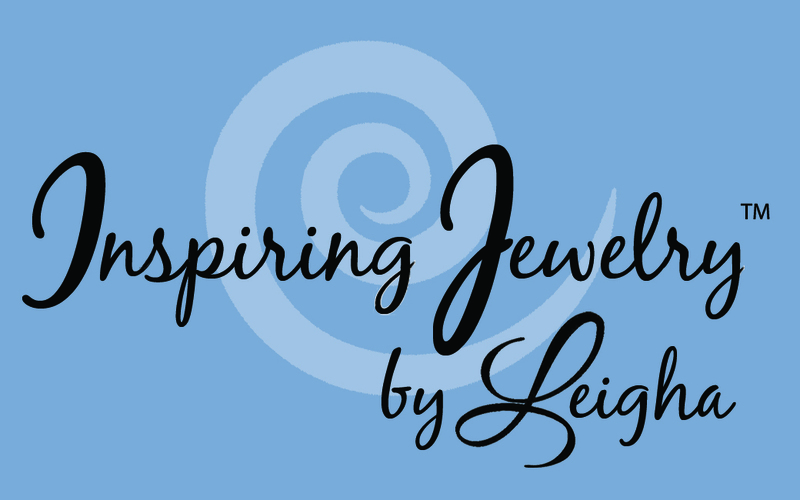 The bracelet measures 6 1/4" with a 3/4" extension clasp So it should fit any size wrist. It is made with a sterling silver extension clasp and flower spacer beads, 4.5mm Swarovski crystals - you choose the color(s) and 6mm round off-white Swarovski pearls. The charms, clasp and letter block are all .925 sterling silver. You may add additional charms or change the charms. We have 100's of charms to choose from. If you would like different charms just contact me. I can/will do just about anything! This can be a First Communion Bracelet, a Confirmation Bracelet or for any other religious holiday. We have 18 Swarovski Crystal colors to choose from... April/Clear is shown. Clear Swarovski Crystals and Pearls with a Praying Girl charm and Simple Cross charm come on this beautiful Confirmation Charm Bracelet. They picked the initial K during the ordering process and added a September Birthstone Crystal dangle. The sterling silver lobster clasp with an extension comes with this bracelet so it will grow with the little girl.